Mind mapping is a powerful and underutilized whole brain system to solve problems, make decisions, develop plans, accelerate learning and communicate effectively with others. It’s faster, more fun and covers more bases than traditional outlining methods. Mind mapping is widely acknowledged as being developed by British psychology author and brain researcher, Tony Buzan. His mind mapping contributions are an integrated approach, combining key words, visual images and symbols into a free-flowing “tree” emanating from a central idea, concept or subject area. “Trunks, branches and leaves” are the associated key points forming the “tree.” The process ends with a logical element of analysis and alignment. Other practitioners of mind mapping are Nancy Margulies (author and visual mapping artist) and Michael Gelb (author of How to Think Like Leonardo da Vinci). The core concepts and methodology of mind mapping are well grounded and supported by practical neuroscience. The system taps into the visual cortex that constitutes a large percentage of the brain’s neurons. Mind mapping uses the brain’s imagination, natural curiosity and logical thinking powers. Most people are amazed at how quickly the system captures their ideas, stimulates creativity and formulates practical and realistic solutions to complex problems. Despite what you may think, mind mapping doesn’t require artistic abilities. Anyone can mind map. Willingness to engage in the following simple and practical neuroscience methodology is the primary requirement to get started. Start with a large piece of paper; flip chart paper is ideal. Use colored pens, pencils or crayons. Purchase colored stickers depicting shapes, images and symbols that appeal to you and pertain to the subject matter. These will give your mind map artistic qualities without requiring artistic skill. 1. Start In The Middle: Draw a circle or oval with the subject or key concept in the middle of the page. You can use a symbol, image, or key word. Even a small photograph works fine. 2. Employ Key Words: Single key words are preferred over phases and short sentences. This may take a little patience and practice at first. Developing the ability to think in key words pays dividends because they are content rich, easy to remember and activate other key word concepts. “Strings” of associated key words eventually describe the context of a situation and the pathways to the insights, solutions and your desired outcomes. Key words are powerful catalysts for both creative and practical thinking. Effective use of key words is a competence worth cultivating. a. Print your strongest concept key words on lines (to form the “trunks of the tree”) emanating from your subject in the middle of the page. As an example, if you are mind mapping your business, start with words like “PURPOSE,” “CUSTOMERS,” “CONCERNS” and “GOALS.” Be sure to use only one key word per line. Utilize color, images and symbols. This is where your stickers may be a handy aid. Stick figures and other simple, hand-drawn symbols work well. b. Your key words will stimulate other key words aligned with central ideas. As an example “CONCERNS” may trigger new key words like “FINANCING,” “COMPETITION,” and “LICENSING;” these become new lines (e.g. “branches”) emanating from the “CONCERNS” line. These key words will create another chain or sequence of key words that become more new lines (e.g. “leaves”). Again, always use color and images to depict and add meaning to your key words. It is best to print your key words. 3. Let It Flow and Go: Spontaneity, imagination and “big picture thinking” are the operative words when mind mapping during this early creative stage. Move as quickly as you can to fill out your page. Go wherever you want. This is not the place or time to be logical and sequential. If you get “writer’s block” with any string of associated key words, move to another key word “trunk” or “branch” that catches your eye and add key words that come to mind. Continue until you feel you have more than enough ideas to work with. 4. Analyze and Align: Take a break and rest awhile before you come back to analyze and align the results of your imaginative, free-association stage. This is the part of the process that will utilize your sequential, analytical and logical powers. Look for themes, patterns and relationships between the “trunks, branches and leaves.” Align and connect parts of your “tree,” using more lines, arrows, symbols and key words to give it additional meaning and provide the outcomes for which you are looking. You may also select what you think are the most relevant parts and eliminate the ones that seem unimportant. 5. Redraw Mind Map: Depending on the application, you may want to redraw your mind map and sequence the key ideas and concepts with numbers in a clockwise manner. This may be appropriate for communication and training purposes or for your use as a daily learning and memory aid to building a business or implementing a significant project. In summary, mind mapping will reveal and unleash the genius within by utilizing the power of your visual cortex, imagination and logical thinking for planning, learning, solving problems and communicating with others. You have nothing to lose except the opportunity to directly experience the power of your brain to leapfrog your life forward. It’s quite easy to strengthen your Visual sensory pathway with mind mapping. Do you know how strong your Visual pathway is and where it is in your sensory sequence? 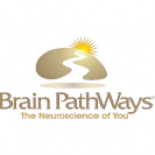 Your personalized Brain PathWays report scientifically measures and describes your sensory and cognitive preferences for learning, listening, visioning, doing, thinking, problem solving, communicating and decision making. The report provides practical neuroscience tools, based on your brain strengths to “be the best you can be.” The on-line process takes less than 15 minutes, the results last a life time. Click to purchase your Brain PathWays online self-assessment and download your report today. This entry was posted on September 6, 2011 by brainpathways in Career, Education, Personal, Uncategorized and tagged academic achievement, brain, brainpower, business, Career, College, Concept Mapping, Education, Knowledge Creation, Knowledge Management, Learning, Learning Theories, Leonardo da Vinci, life, Mind map, Mind Mapping, neuroscience, performance, personal, Social Sciences, Student, Tony Buzan, University.